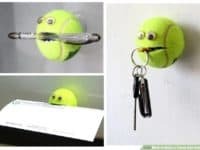 Tennis balls perhaps aren’t the kind of thing you’d associate with DIY projects, but it’s time to step out of your comfort zone and look into how these little green balls can bring some functionality into your life! 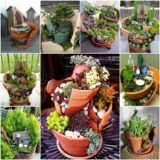 They are sold almost everywhere and they’re definitely on the cheaper side of things, so grab a big bag of tennis balls and start creating! 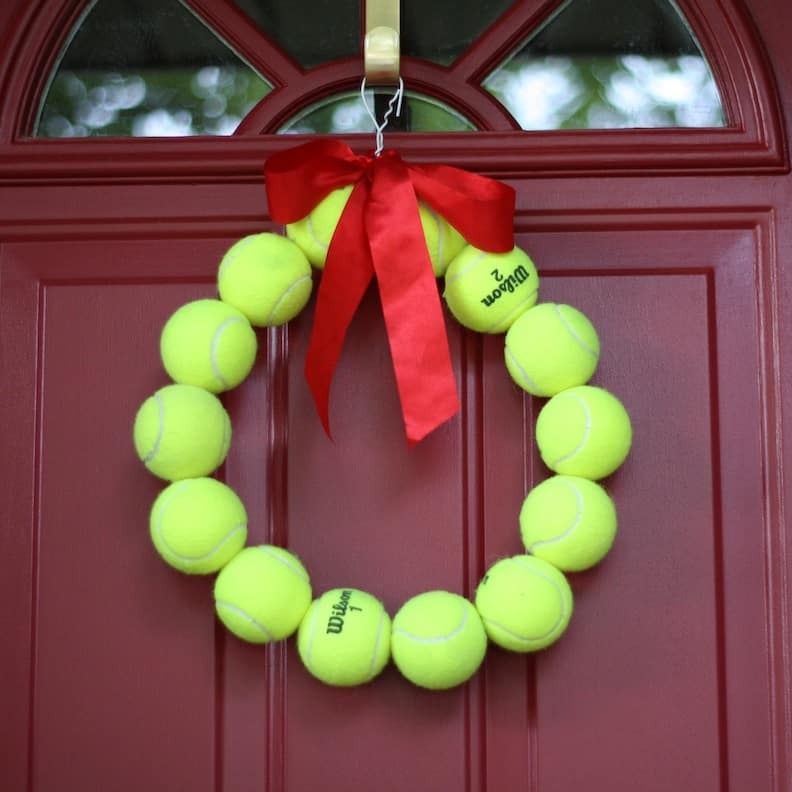 Find some ideas with these simple and unexpected ways to repurpose tennis balls! 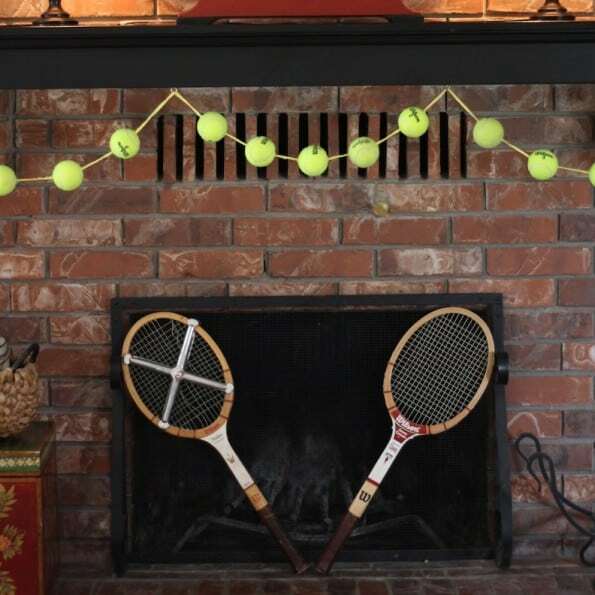 There are numerous garlands you can make for your fireplace but none of them as unique as one made of tennis balls! 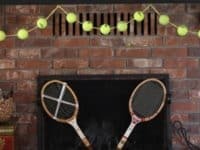 If you love watching Wimbledon, this is going to be a great party decoration when you invite over you fellow tennis enthusiasts! 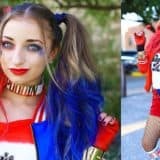 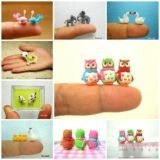 Get the how-to at Anna Nimmity. 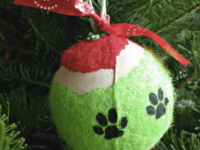 Did you ever imagine that the most helpful item in your home could be a goofy tennis ball? 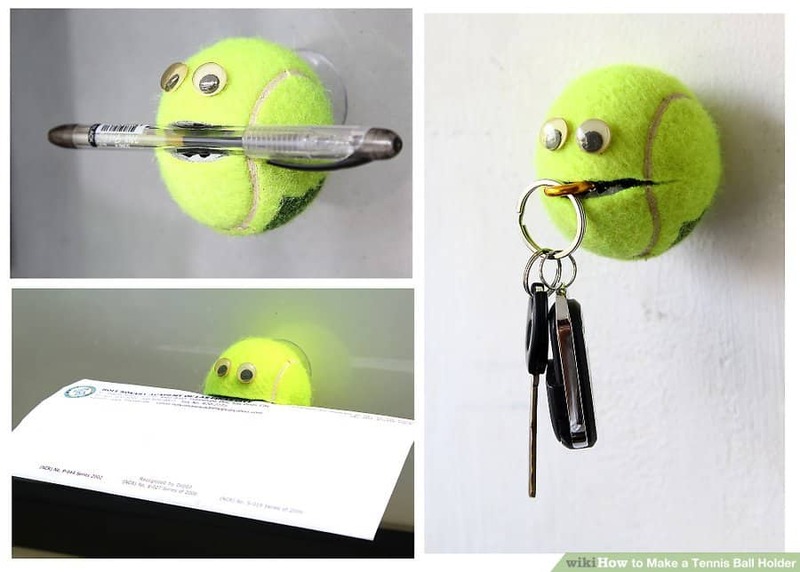 When strategically placed, a tennis ball can become your personal assistant that always holds your keys or mail when you step through the front doors! 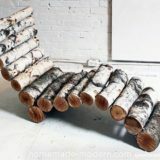 Find out all about it at WikiHow! 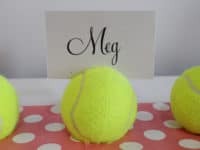 Tennis balls aren’t just loved by tennis enthusiasts, they are also adored by our four legged companions! 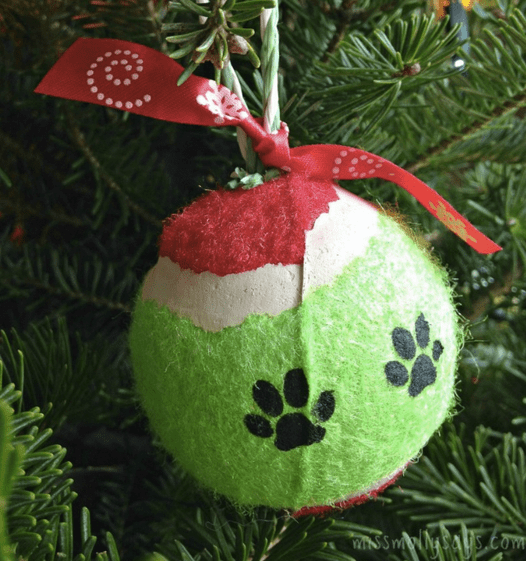 Dogs tend to go bananas for a tennis ball, so when you’re making this lovely ornament by Miss Molly Says, make sure you hang it high enough to keep it out of your pooch’s reach! 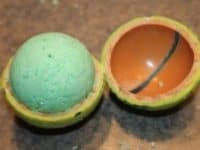 Using bath bombs is a great way to treat yourself and if you love to make them at home, the whole experience becomes even more special. 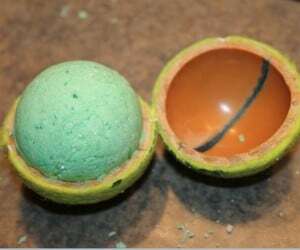 One of the things that will absolutely help you when making bath bombs is actually a tennis ball! 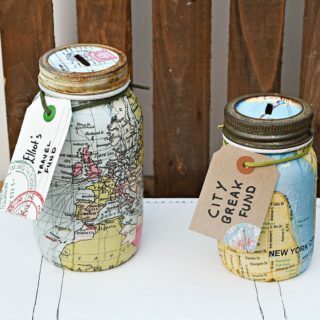 See the whole process at Mommy Savers. 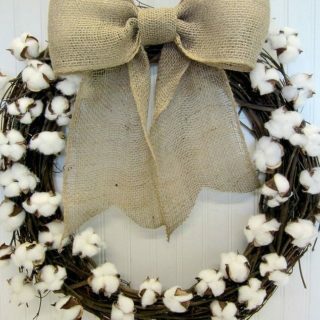 Are you looking to create a really simple but very unpredictable wreath for your doorstep? 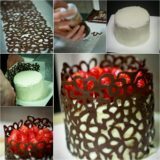 Something memorable but not too complicated? 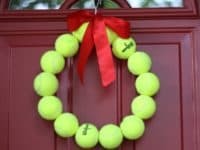 Anna Nimmity shares the the tutorial for this wonderful tennis ball wreath that is definitely going to be the talk of the neighborhood! 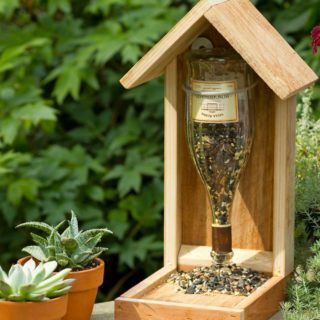 Are you hosting a garden party for your fellow sports fans? 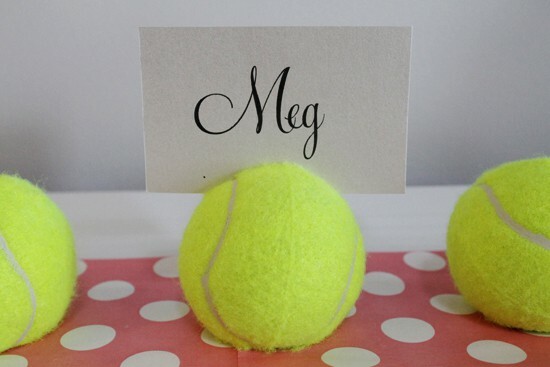 Create a truly suitable athletic environment by turning the tennis balls into place card holders! 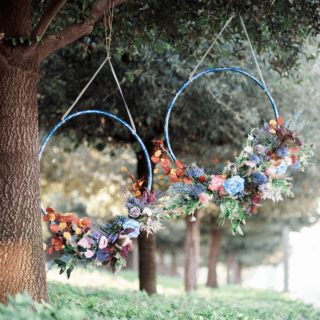 This small but thoughtful act of decoration is going to define the whole setting, so don’t miss the how-to at Polka Dot Made! 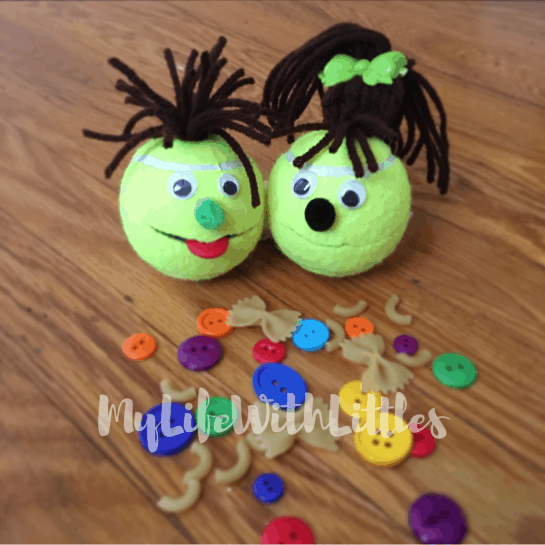 Homemade puppets always have a special charm! 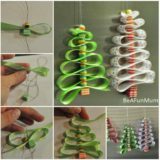 Creating them is a great way to encourage your kids to express their creativity and they will also appreciate the toys much more if they are involved in the creation process. 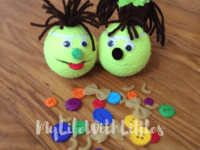 Check out how My Life With Littles made these adorable tennis ball puppets! 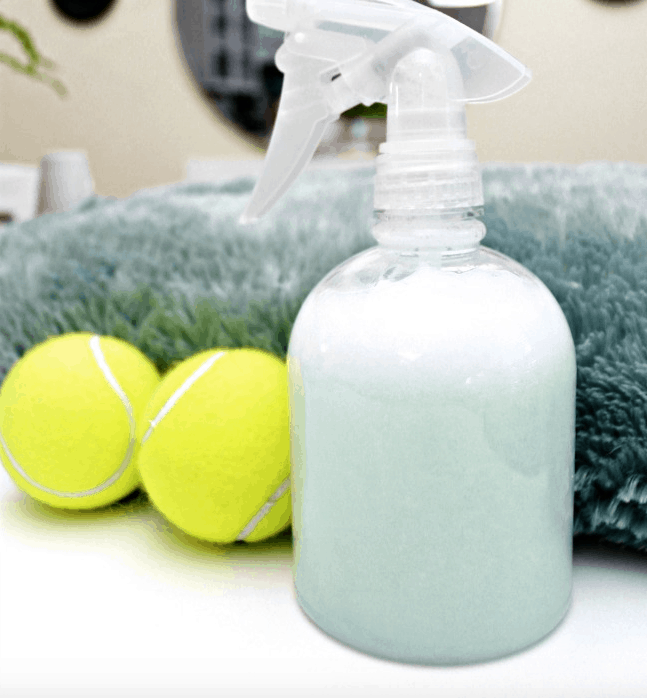 If you love making your own household products, you’re going to love the idea for these tennis ball dryer balls we found at Mom 4 Real! 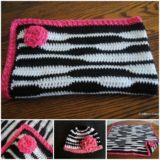 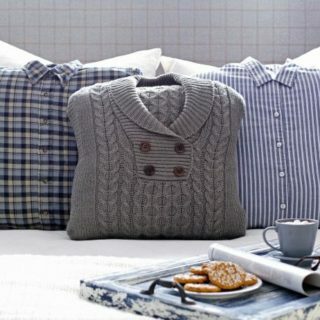 They are very simple to make and will make sure that all of your clothes come out of the dryer soft and with a wonderful smell! 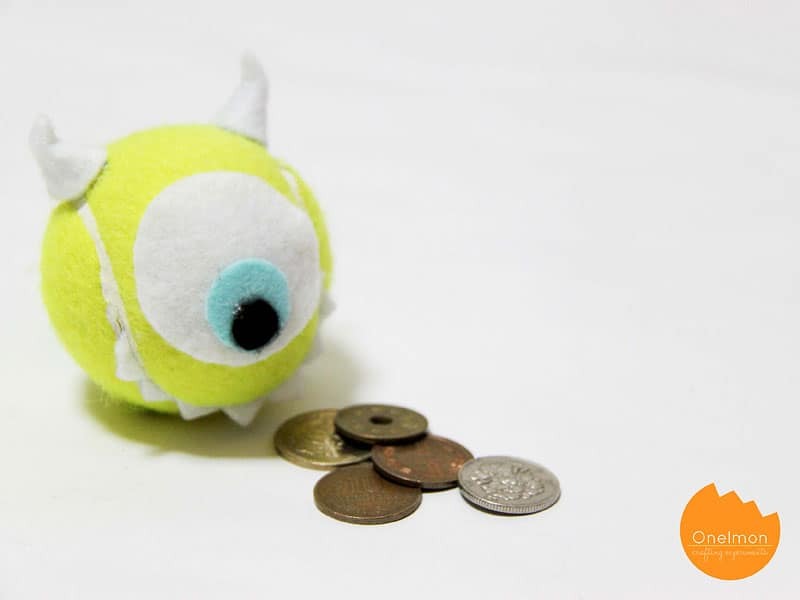 Forget Frozen, have you hooked your kids on Monsters Inc. 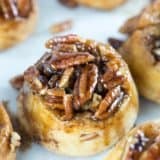 yet?! Mike Wazowski is one of the most charming, funny and adorable characters and if your little ones have a true fasciation with his personality and wit, Onelmon‘s tennis ball Mike should be your next crafting project! 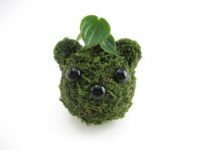 Another great project for kids is this tennis ball teddy bear that truly doesn’t resemble a tennis ball at all. 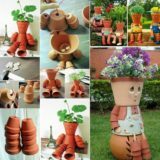 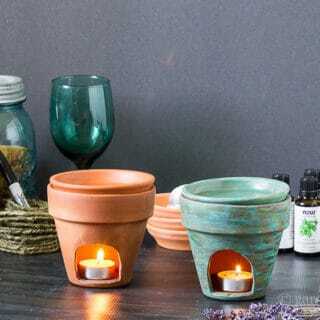 It’s a great way to bring some nature into your kid’s room especially if they refuse to have a potted plant! 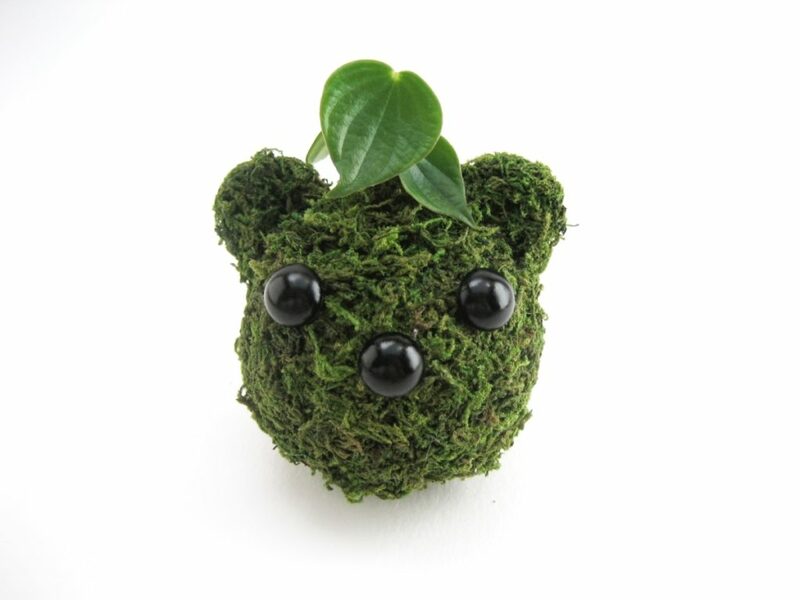 Visit Adorablest to see how this green teddy bear came to life! 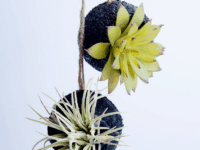 Hanging planters are very modern and very trendy. 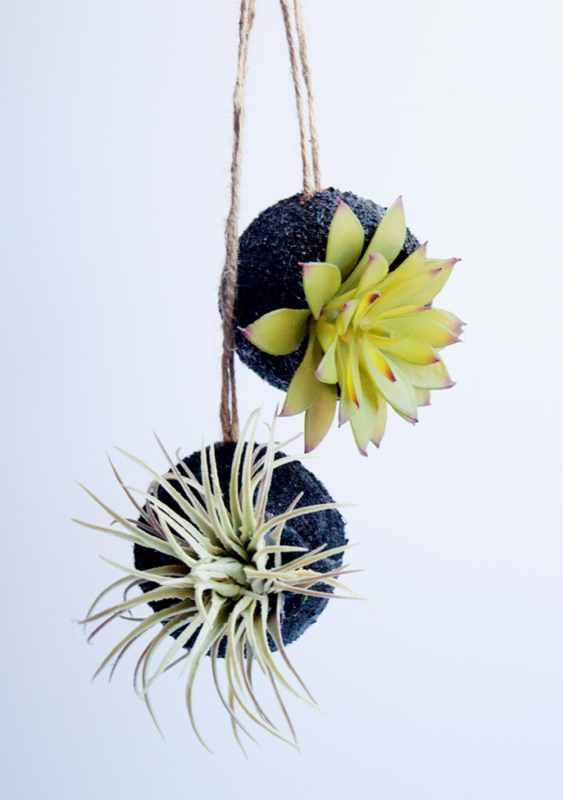 The concept of hanging your plants somewhere in the house rather than stacking them onto shelves appeals to many people and if you want to bring this fascinating decor concept to your home as well, don’t miss The Homesteady‘s idea for a tennis ball hanging planter! 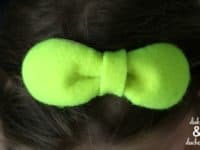 Making your own hair accessories is always a good idea – after all, where in the world could you possibly find a neon green headband on a short notice? 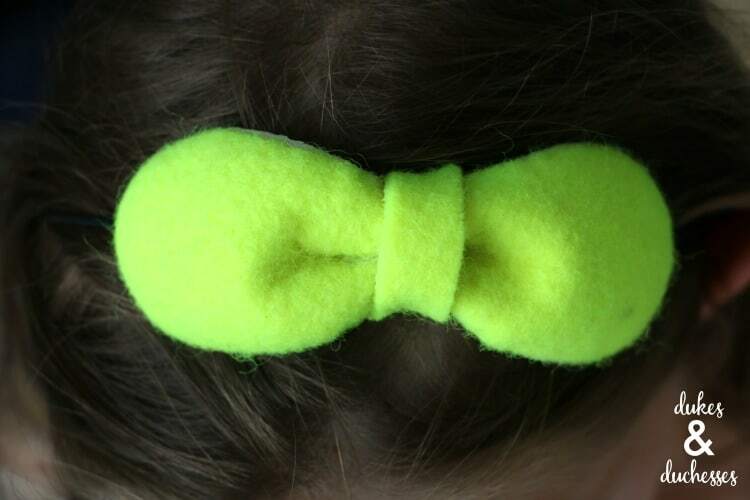 If you have a tennis ball somewhere in the home that nobody plays with anymore, cut it up and turn it into a dazzling headband, following the tutorial at Dukes & Duchesses.